I thought it would be fun to make some DYI party favours for girls. So went on a search for some favour bag ideas. I found this free printable template from Lil Purse favour box. I thought it would make a cute clutch purse to fill with hair accessories. Print out the template on your choice of stock card. I went with plain white as I had some in the cupboard. I enlarged the template to 125% to fill my A4 sheet. Once you have printed out your template cut it out and fold the sides. I used a ruler and pressed against to get a straight fold. I am going to use a hair clip to close the purse. Place the clip on your curved edge where you want the clip. Put a dot on the top and bottom with a pencil to mark where you will cut. Using a ruler roll the lid of your box so it has a curve. Fold your lid over the front of your purse to see where you need to put your slit on the front of the purse. Once you have cut your slit in the front slip your hair clip through the lid and into the front of the purse to make sure your slit is long enough. You can now start glueing your purse together. Fold and crease the bottom sides. I used PVA Glue to glue the bottom flap inside your back side flap. Your lid is on the back of the purse. Then glue your front flap to your back side flap. Now hot glue your lined alligator hair clip to your chiffon fabric flower. 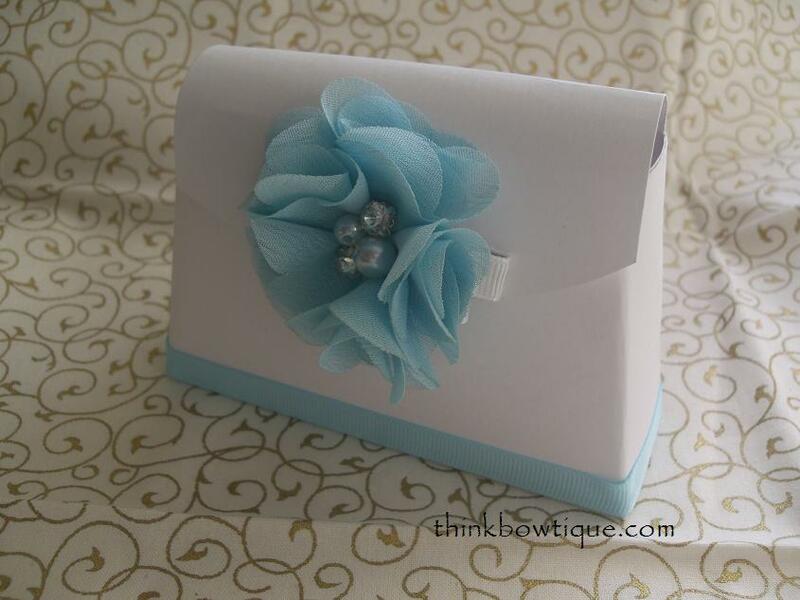 Now to embellish the DYI party favour purse glue a strip of grosgrain ribbon to the base of your box. I just used PVA glue that I used on the box. I only put the ribbon on three sides. You now have a Party favour purse ready to fill. You could fill it with chocolates and lollies or hair accessories or maybe a mix of both. 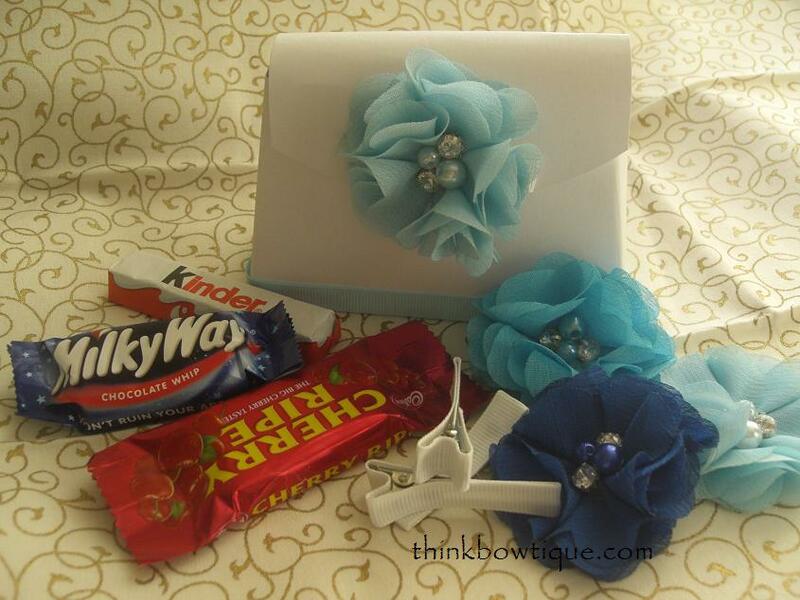 This DYI party favours for girls project is so easy and would be perfect for the tweens. You could have it as party activity to entertain the party guest. Set up a table with the templates all printed and have some fabric flowers and lined alligator hair clips ready for the girls to make their own party favour purse and hair clips. Then they can take them home. If you like our tutorial please fill welcome to share a link back to use your are welcome to use one photo only. Pin it so you can easily find it later.